Don't you just hate it when a full post that you've written disappears and you have to write it again? 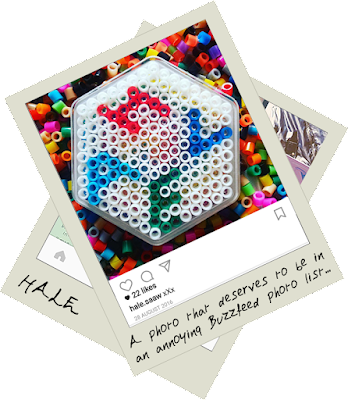 Anyway, I still wanted to get this post up because some of the photos on our Instagram feed have some pretty good behind the scenes stories that I thought would make a great blog post! 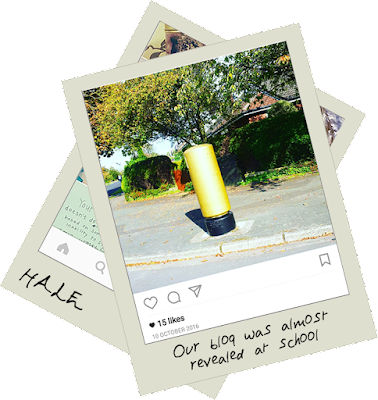 Here's 5 Instagram posts... explained (for the second time because my first draft of this post disappeared...). In this photo there is a pair of very cute jogging bottoms that deserved a place on our Instagram feed, but wait... you don't know what happened to those 'very cute' jogging bottoms an hour after this photo was uploaded. 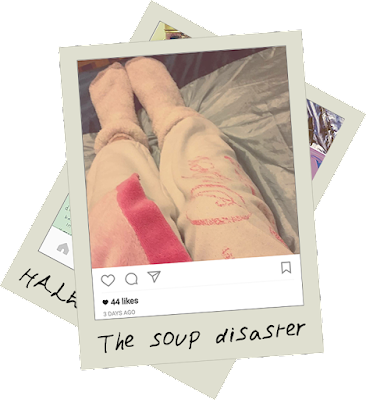 I was wearing my 'very cute' jogging bottoms and I was feeling quite hungry so went to the kitchen to warm up a bowl of soup. Being me, I left it in the microwave for way too long and so the bowl itself was actually boiling hot. Again, being me, I decided to try and pick up the bowl quickly and take it to the kitchen counter, but, oh no, instead i literally spill half of the contents of the bowl onto my jogging bottoms. Proof that I am the clumsiest person alive. Now I must admit, this Instagram post did quite well... 70 likes, pretty good for a small account like ours. 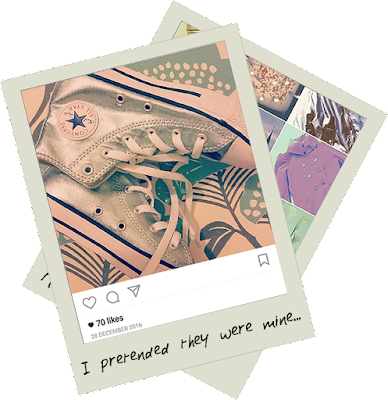 A pair of metallic high top converse are featured in this Instagram post. I'm a fan and to be honest I'd quite like a pair myself. Yup, that's right, these aren't my converse. They are actually a UK children's size 12 pair of shoes that belong to my 9 year old sister, but of course, with a little bit of zooming in and editing, you'd never be able to tell they are kids shoes right? A golden post box, that's quite unique right? With the pretty background and all, I thought it was the perfect place to take an Instagram photo in my home town. Being an anonymous blogger, I probably should of thought carefully before posting this, because not long after posting the photo, I actually got a direct message from another blogger who actually goes to the same school as us. 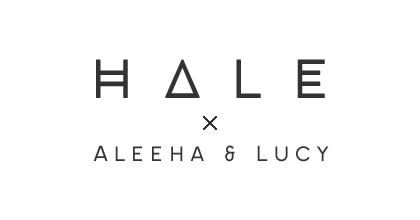 We never actually told the blogger our name and she doesn't know what we look like, but we know what she looks like so it's always so weird in school when we walk past her because she has no idea that we are the 'mystery bloggers'! This has by far got to be one of the worst photos on our Instagram feed. I posted it quite a while ago, when I was on holiday in Dubai because I really wanted to share my love for the chewing gum there. 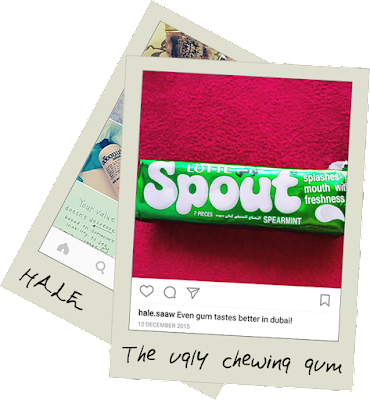 I kid you not, Spout is probably the best chewing gum I have ever had, it has a juicy minty filling in the middle that you bite into to get the flavour. Anyway my point is... I never really promoted the gum very well because the photo I posted was so horrendous that I doubt anyone would want to buy it after looking at that. There you go, that's 5 Instagram photos from our feed that you now know more about. This is probably proof that you can't just assume everything from a photo because really, there is actually a lot more to a photo than just what you can see. Do you prefer high top or low top converse?